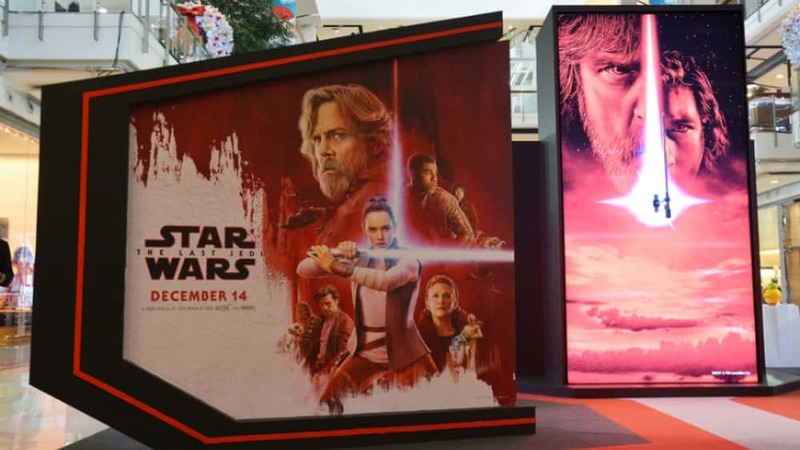 Star Wars: The Last Jedi is on track to gross an estimated $220 million in 4,232 theaters in the U.S. and Canada this weekend, marking the second-highest domestic opening of all time, behind only its predecessor Star Wars: The Force Awakens, which debuted to $248 million in 2015. The Last Jedi is just the fourth film in history to open north of $200 million, joining The Force Awakens, Jurassic World, and The Avengers. It’s also set to add $230 million overseas, for a worldwide bow of $450 million, which would rank fifth all time. The Last Jedi has met with excellent reviews from critics and also garnered an A CinemaScore from moviegoers.